California Hospital Medical Center has established a foundation to provide financial support for capital projects, equipment, programs and services to the poor and underserved. The generosity and vision of our donors help insure excellence in patient care, medical education, and research. Based on the belief that good health and well-being involve far more than just the absence of illness, the hospital also develops preventive health outreach and education programs designed to address key health issues in the community. The local community faces numerous challenges, including the highest population density and unemployment rate, combined with the lowest per capita income and literacy levels in the city. 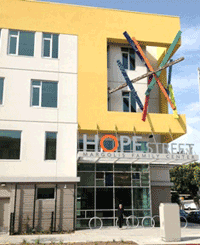 To "help families help themselves," the hospital has programs such as the Hope Street Margolis Family Center, which serves children and families through early childhood education, healthcare, mental health services, family literacy, substance abuse counseling, education, job training and after-school programs. We provide many opportunities for the community to invest in our healthcare facilities and services. The Los Angeles Center for Women's Health, on the campus of Dignity Health - California Hospital Medical Center, was founded in 2011 with the help of the CHMC Foundation and it's generous donors. 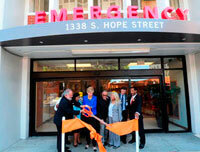 The center is dedicated to enhancing the health and well-being of women in the community.